← Examples in letter-writing manuals: real or fiction? 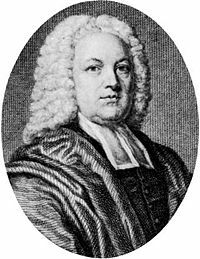 There are 13 letters in the Leiden University Library by William Warburton (1698–1779), who is described by the ONDB as ‘bishop of Gloucester and religious controversialist’. One of the people he entered into a controversy with was Robert Lowth (1710-1787). the Leaders of this ridiculous Sect amongst us, called Methodists, are either very weak Fanatics or covert knaves (4 December 1766). This is not how you would expect someone to write to a colleague, let alone someone who was not very skilled at English to begin with! I wonder, though, where this tendency to use strong language came from. Was it perhaps due to some kind of congenital disorder with Warburton? Is it what made him get into trouble with people like Lowth, for instance? Warburton’s letters have never been published, but it seems to me that it would be well worth doing so. They seem to make very good material for studying this particular phenomenon in an 18th-century letter writer. But we first need to know more about what may have caused Warburton’s language use. Any medical information on this, please? Tieken-Boon van Ostade, Ingrid (2012). “Late Modern English in a Dutch context”, English Language and Linguistics, 16/2, 301-317. This entry was posted in 18th-century letters, letter writing and tagged strong language, William Warburton. Bookmark the permalink.